Several residency positions are available. All residencies involve working at the museum and include artist stipends of $2,200, a food per diem to offset food costs, lodging, and travel to and from Sitka. Several of the residencies involve working with youth and two of them involve working nearly half of the time at the Sitka Fine Arts Camp, adjacent to the Sheldon Jackson Museum and the other half of the time at the Sheldon Jackson Museum. All residencies are twenty-two days long. 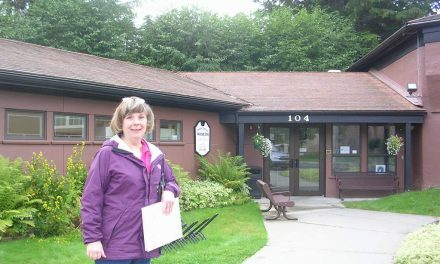 The dates of the residencies are: May 15th – June 5th (may involve working with youth under 18 for several days in the museum gallery); June 7th – June 29th (involves working at the museum and working with Sitka Fine Arts Camp middle school students); June 29th – July 20th (involves working at the museum and with Sitka Fine Arts Camp high school students); Aug. 22 – Sept. 12th; and Sept. 14th– Oct. 5th. 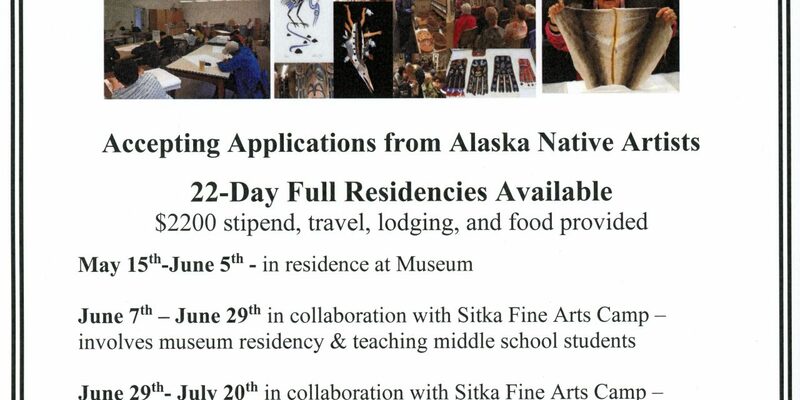 Applications are due Jan. 2, 2019 and are available from the museum by calling (907) 747-8981 or emailing Jacqueline.Fernandez-Hamberg@alaska.gov or from https://museums.alaska.gov/artist_opportunities.html . 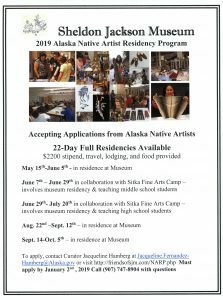 If you have questions about the program or application or if you wish to be added to the Alaska Native Artist email list about such opportunities, please email Jacqueline.Fernandez-Hamberg@alaska.gov or call (907) 747-8904. Please share this with your fellow Alaska Native Artists friends! PreviousAt Saxan Art Activty – Stainedglass-like Snowflakes! 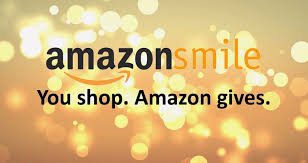 Did you know you can support FOSJM through Amazon Smiles? Congratulations, Rosemary Carlton, Volunteer of the Year!